There is something about mid-20th century design that naturally suggests style and sophistication. Think of Gio Ponti’s Superleggera chair; a Ferrari 250 GTO; our own king of modernist curved concrete, Harry Seidler; and the wooden boats of Carlo Riva who, in early April 2017, passed on to the safe harbour of la dolce vita in excelsis at the age of 95. Wonderful things all, and when mid-20th century design is combined with 21st century technology, the results can be remarkable – as in the A34 from Salacia Yachts. This timeless 34-foot (10.4-metre) luxury cruiser, the first example of which was launched in March 2017, is built in Nowra, NSW, having been designed with the coastal waters around Sydney, Melbourne and the Gold Coast in mind. The A34 is built by the same people who constructed the Sydney to Hobart supermaxi Scallywag, so they know about the necessity of build quality for Australia’s testing waters. 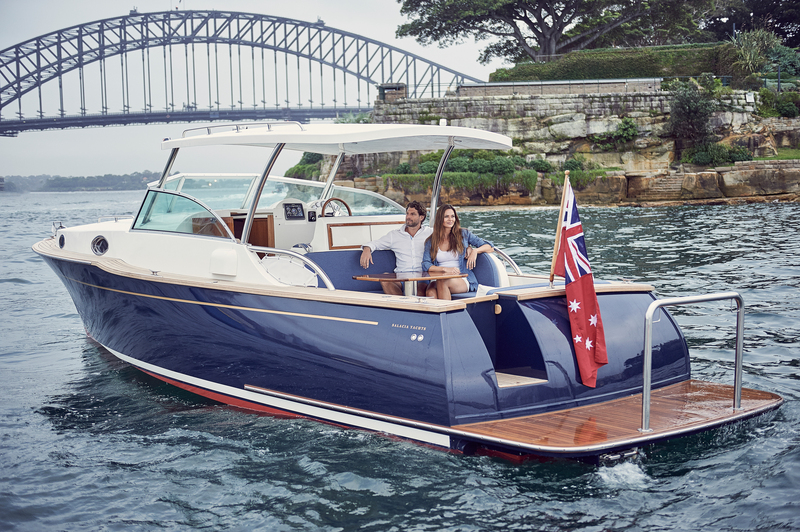 The classic design was by leading Australian naval architect Andrew Dovell, with a nod to Henry Hinckley’s American boats from the ’50s and ’60s. 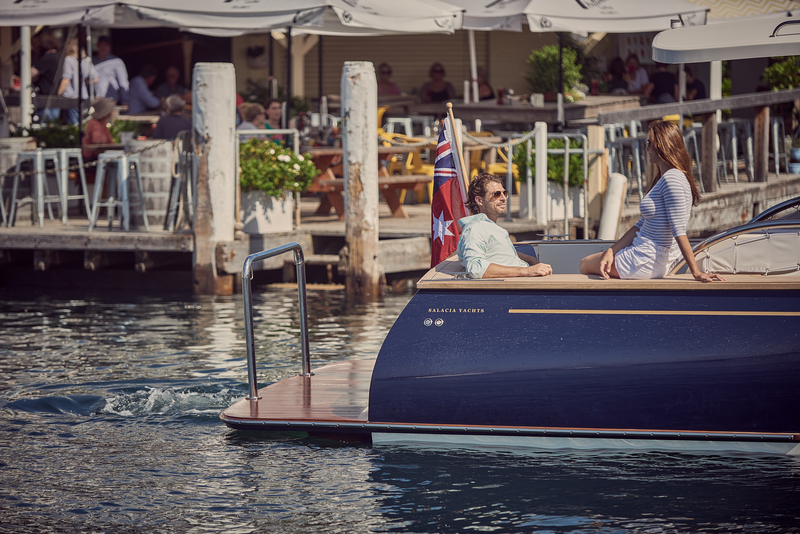 Dovell has penned no fewer than three America’s Cup challengers in the past, but the A34 – this example, the first of a new semi-custom production series – is a thoroughly modern design using the latest technology and materials to provide optimal seakeeping qualities for this luxurious ‘picnic boat’. Highly manoeuverable with its “over-specced” bow and stern thrusters, the Salacia A34 is driven by a single 300hp Volvo Penta Diesel unit providing a cruising speed of 18 knots with a top speed of 22 knots (over 40km/h). The boat offers plenty of space, including an extended swim platform, for up to eight to enjoy the delights of any harbour and beyond. Price is around $500,000.